Miracle Workers is an American comedy television series, based on the novel What in God's Name by Simon Rich. 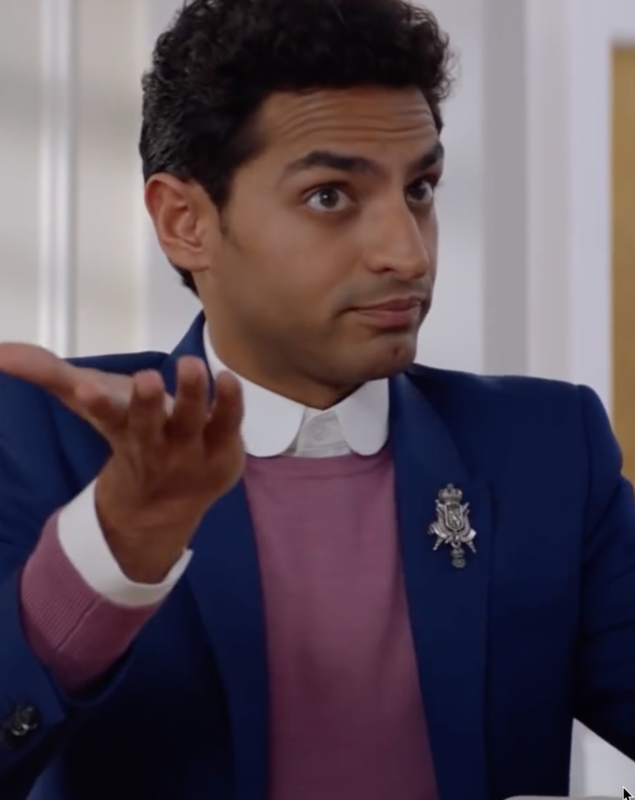 The series was created by Rich and stars Daniel Radcliffe, Steve Buscemi, Geraldine Viswanathan, Jon Bass, Karan Soni, Sasha Compère, and Lolly Adefope. Miracle Workers was broadcast on TBS between February 12 and March 26, 2019, and consisted of seven episodes. Anthony Tran, assistant costume designer for the Miracle Workers had seen my work at the Academy Museum and Googled me and asked if I could help make a duplicate brooch for one of the actors in the series. He needed the piece finished and sent to Atlanta by Friday. I received the request on a Monday - the clock was ticking. The project was to create a copy of the original brooch to use in production. The original brooch was sterling silver set with white faceted stones. Beautiful piece and was previously purchased but could no longer get another one - so a replica was needed. The first step was decide how we could reproduce it. 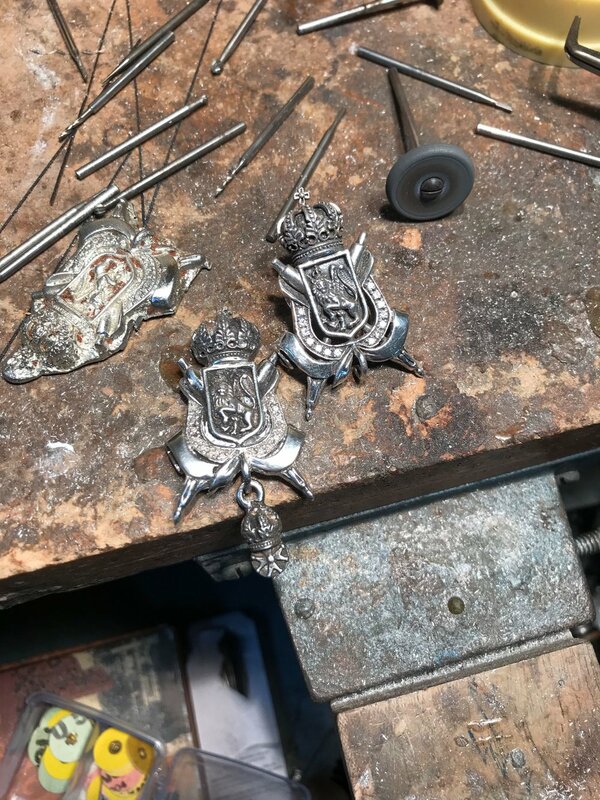 You could make a room temperature mold of the original brooch, inject wax, pull the wax then cast it in silver and hand finish and set gemstones. This could take at least 3 days. 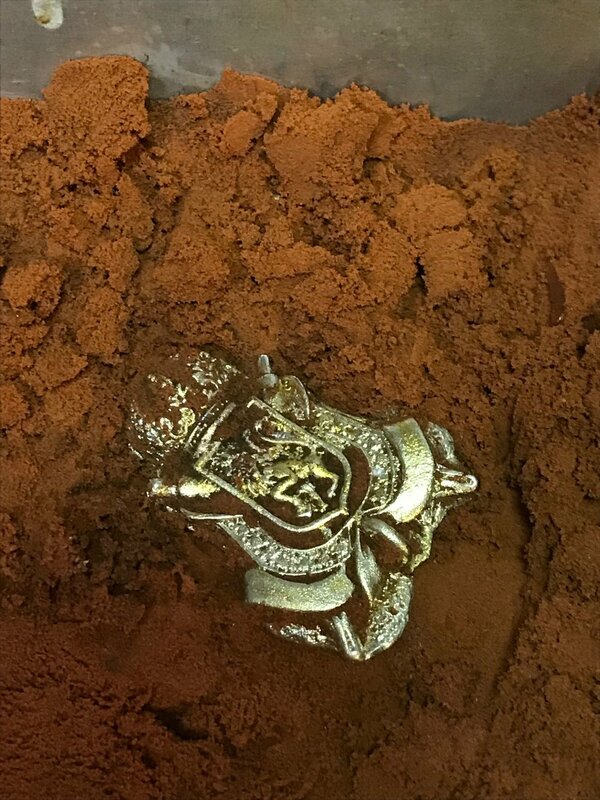 What we decided to do was to make a sand casting of the brooch and cast it in pewter. This decision fit the timing and the budget for the project. 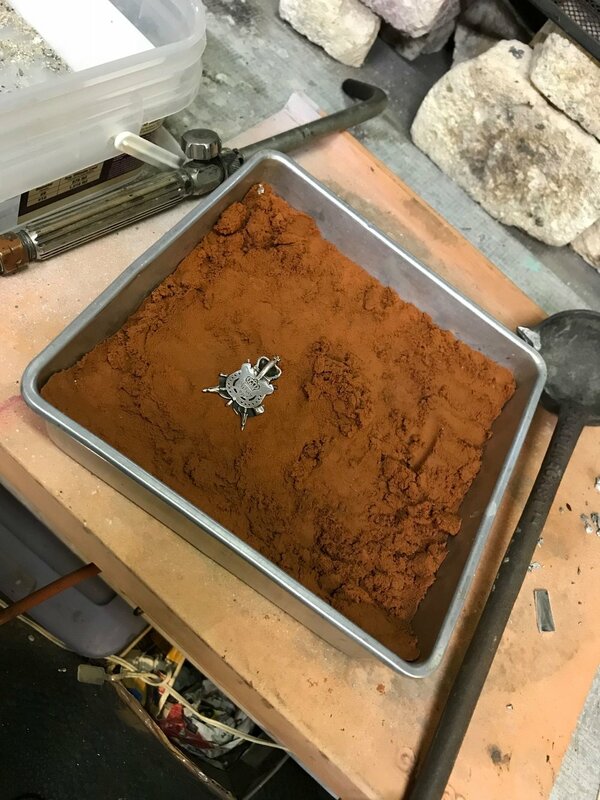 What we decided to do was go right to sand casting. A good friend of mine works in pewter and I knew that she could cast a model for me it in one visit. 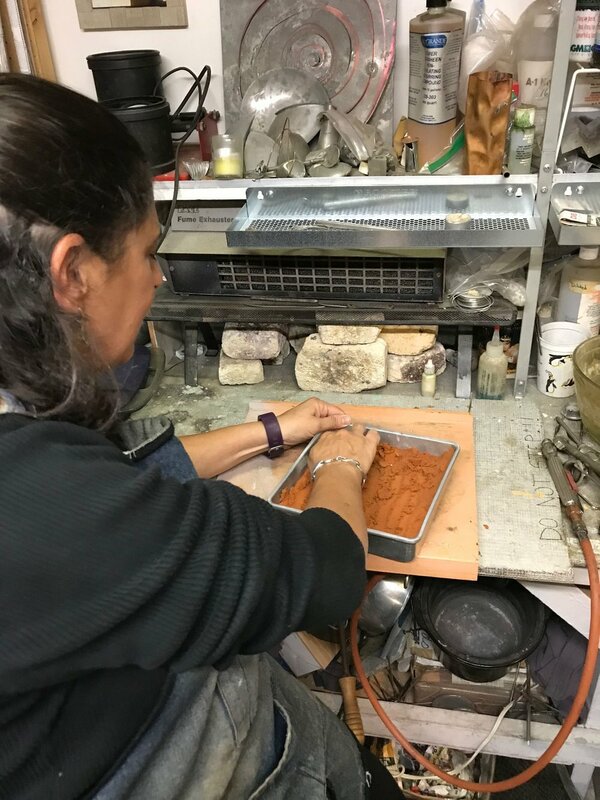 So I headed over to Lisa Slovis Metalsmithing for the pewter casting. 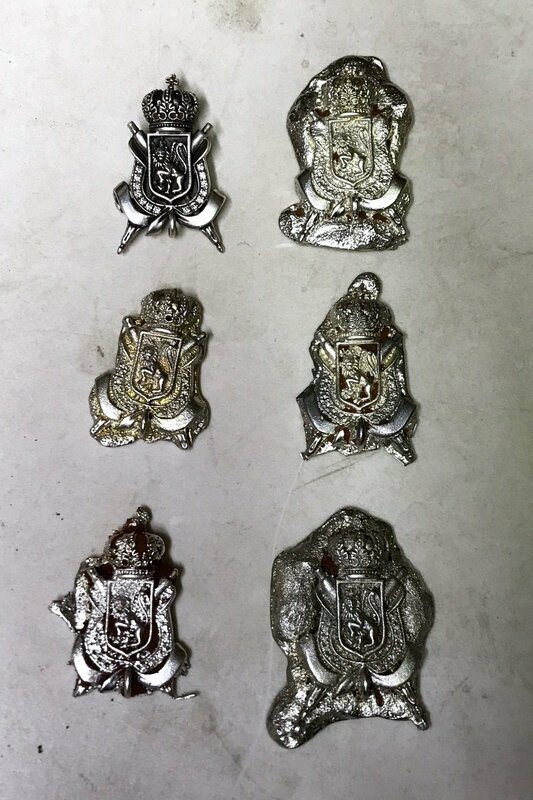 After many trials in casting we finally achieved one good pewter cast. Back at the studio we finished it and shipped it of to meet our project deadline. We hand cut the brooch, polished finished and added a patina to match the original. The back of the brooch needed a pin stem to complete the project. 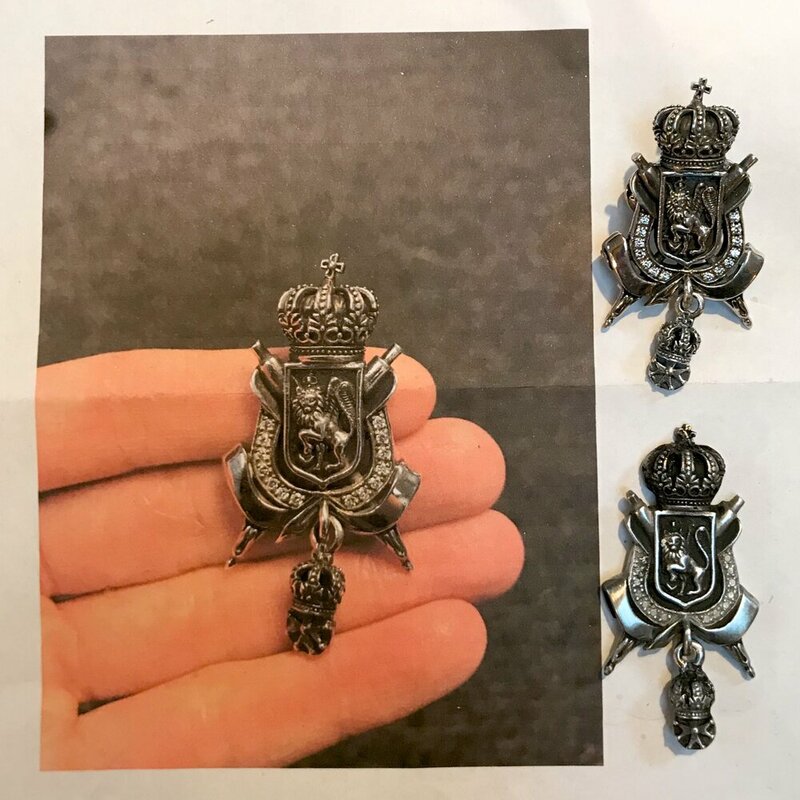 Our replica is shown on the bottom right - above it is the original brooch and both are shown with the original image we received from the designer. The best part was that we did not have to set any gemstones. The stones were replicted in pewter and then polished to look like gemstones. Shown above is our screen shot taken while watching the new series. I like the series and I liked working on the project. It is so rewarding to see one’s work come alive!